How do you get the funding you need for the technology you want? Boxlight has created five downloadable Funding Guides. Each guide focuses on a single fund and explains specifically how Boxlight technology or software qualifies for that fund. Download the guide that’s right for you. 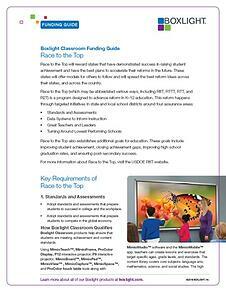 Download your FREE Funding Guides Now!